As long as there has been a film industry, there has been adaptation. ADAPTATION is the taking of a source and turning it into something else. In film, ideas come from all kinds of places. The sources mainly used to be plays (Driving Miss Daisy), novels (Tinker, Tailor, Soldier, Spy), memoirs (The Wolf of Wall Street), short stories (Brokeback Mountain), and poems (Beowulf). Nowadays add comic books (Batman), graphic novels (A History of Violence), comic strips (Dennis the Menace), video games (Wreck It Ralph), TV Shows (21 Jump Street), and other films (The Departed was adapted from the 2002 Hong Kong crime thriller Infernal Affairs), even toys and games (Battleship, Clue). It seems you can adapt anything into a movie idea these days. 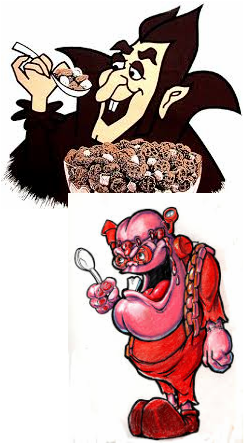 I keep waiting for Count Chocula and Frankenberry to come out with a buddy picture! 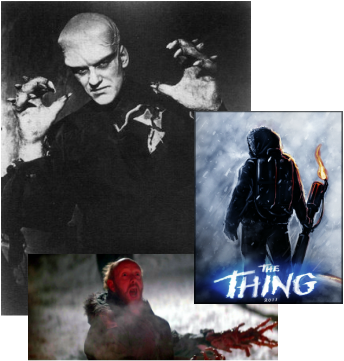 John Carpenter’s The Thing is an adaptation of a 1938 novella by John W. Campbell. Click here for a link of the story. It’s actually pretty interesting and well written. 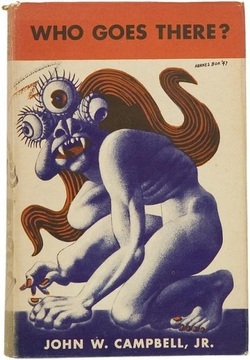 Campbell’s novella was also the source material for the 1951 film The Thing from Another Planet which gave us a great ending and the plea to “Watch the skies!” The '51 version took much more liberties with the story even adding a love interest sub-plot. The written story goes into much more detail about the effect of finding an alien creature frozen in the Antarctica snow. Once brought back to camp and thawed, it comes back to life and its unique ability to adapt to any living life form makes it a venerable foe. 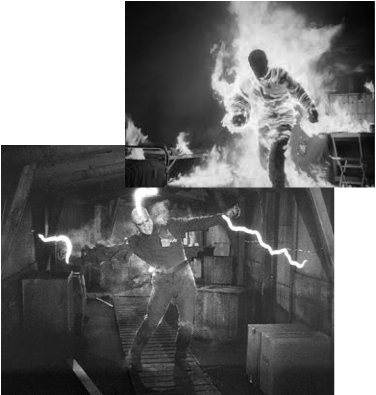 The '51 film, probably due to limited special effects technology, gives us a creature much more human in shape. 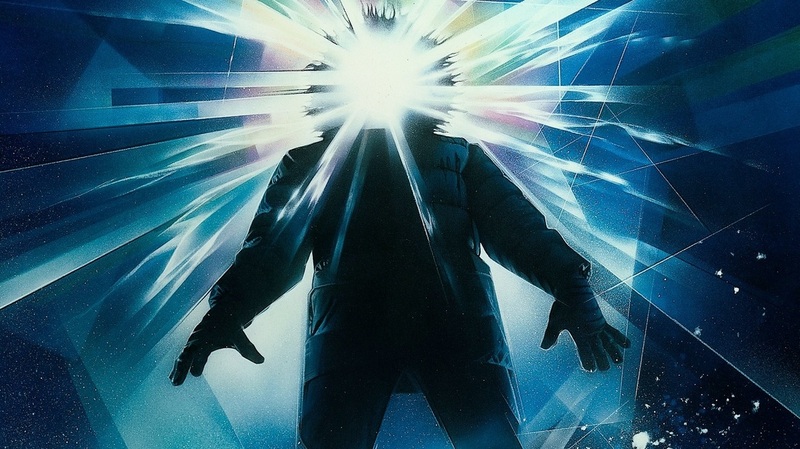 The John Carpenter film takes full advantage of the possibilities of this kind of rapid mutation and imitation. He also plays up the paranoia that ensues when you’re trapped in an isolated space (Antarctica for heaven’s sake…no running away from this thing). Paranoia sets in as the men trapped try desperately to figure out who may have already been changed by the monster. The most impressive thing for me is the special effects are pre CGI and are amazingly gory and creative. This movie gave me nightmares and I was in college when I saw it first! It still holds up today as a masterpiece with fine acting all around and a fatalistic ending that’s till creeps me out. This novella was adapted again in 2011. What was trickily marketed as a perceived remake of the Carpenter film actually turns out to be a prequel. It got panned by the critics, but I enjoyed it…especially the ending when it finally dawned on me that this was a prequel. Nice touch. But for my money, the Carpenter version is untouchable. When studying adaption theory, one must look at things like what changes are made from the original source material and then ponder the WHY. One must ask questions like, did this improve the original narrative or weaken it? 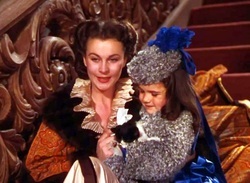 In Margaret Mitchell’s Gone with the Wind, Scarlet O’Hara has a child with each of her husbands, but in the film she only has a child with Rhett. This was a wise choice, seeing as how this emphasizes the tragedy of losing Bonnie when she dies. It strengthens both character and plot. Stanley Kubrick in his adaptation of Stephen King’s The Shining adds a hedge maze to The Overlook Hotel. It’s a nice touch that mirrors the inside maze of the hotel plus adds a mythological element to the story. Jack Torrance becomes the threatening minotaur. Films have time constraints that novels do not. So entire events may be cut due to pacing considerations. One thing I hate hearing people say is, “I didn’t like the movie. They changed the book.” I agree the movie is almost never as good as the original source material; however, it’s not a fair assessment seeing as how the two are completely different mediums. If a film kept everything the book had, why would it be needed? Just so lazy people wouldn’t have to read? Film relies on the visual, it’s very subjective. The film director is literally deciding what you see in every frame and every scene entails hundreds and hundreds of decisions. It’s collaborative. Writing is usually a solo act. Often times the film director is trying to make his own statement about our world and is simply using the source material as the vehicle. This doesn’t cause much of a problem if the source material isn’t widely known. But take a beloved novel and change anything and the risk of audience rejection becomes a factor. 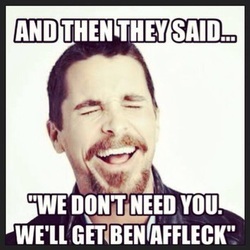 If you don’t believe me, ask Ben Affleck about playing Batman. “Blair giggled. ‘It can imitate us. Dogs can't make four hundred miles to the sea; there's no food. There aren't any skua gulls to imitate at this season. There aren't any penguins this far inland. There's nothing that can reach the sea from this point - except us. We've got brains. We can do it. (Who Goes There? By John W. Campbell, Jr under the pen name Don A. Stuart). Click HERE to read the whole novella. Using source material for inspiration. What do you think they'll turn into a movie next?